The first time, I remember that we were so close that I couldn’t really see the stage at Orchestra Hall in Minneapolis, MN. I can recall being inside the building, though. The Fall of 1994 was the last, attending the performance as part of a collegiate music theory course I enrolled in that semester. This time we were up on the third tier in the theatre house, looking down on the stage and the vast audience below us. I realize that for most of us, attending a symphony performance is a bit of a stretch. Why is it, though, that we who seek to lift our songs to praise to Almighty God overlook the musical masters who sought, rather often, to do the same? A portion of that tendency is found back in the Law of the Foundation. When we have little knowledge of the world of music, we are less likely to appreciate its branches that grow further from the ones we are familiar and comfortable with. The result is a limited, tunnel-vision approach to music in general, that impacts our worship. Most of the time we find a theme from one of the movements of a symphony that is used repeatedly in various contexts. The first movement, “Allegro,” from Spring in Antonio Vivaldi’s “Four Seasons” is a prime example of this. (Click here for some Four Seasons soundbytes.) However, we as the vast majority of uncultured musicians rarely understand where the music came from, much less its context in the larger composition. One more slice of information before moving on, one that helps direct the point of the symphony question. What we learn from the classical symphonies is a natural rise and fall in the tone and tempo of the piece that helps it to move along and feel more complete. It is like reading all of a good book, instead of just the middle, or a few chapters right at the end. All together, the whole has greater meaning. Here is a for instance. You walk into a worship service to the sound of “Days of Elijah.” The music is strong and the beat is lively. The song moves right into “Lord, I Lift Your Name On High” without skipping a beat. Afterwards, the leader stops to move the capo on his guitar, then begins to “Better Is One Day.” But you notice something: the key changed with the song, but the tempo and volume are the same. You find yourself trying to the words “better is one day in Your courts, better is one day in Your house” into the same amount of time as youd “behold He comes, riding on the clouds,” and it’s just not coming out right. As the leader stops to take his capo off, you take a breath and look for what might follow. “I Give You My Heart” begins, and again you find no change in the dynamics, and trying to fit your words into shortened spans of time. Has this happened to you? This is a classic case of what I call “stylitis.” Stylitis is knowing or being comfortable with one style/tempo/etc. of music, and forcing every song through this one filter. There is another issue that you might call “Roller Coaster” or “Stop and Go” worship. I’ll start by saying that those who find themselves leading in this style come by it innocently. 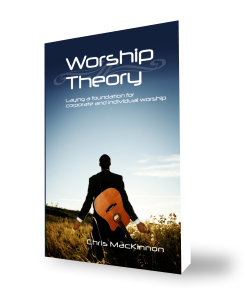 Through catching on to the pattern found on most live worship CDs, or by some other means, most of these worship leaders have discovered that dynamics play a role in worship. This type of worship service is characterized by frequent changes in tempo from fast to slow to fast to slow, etc. Many of our popular worship albums are arranged in two or three fast-to-slow sets. What we may not take into consideration is that sometimes these recordings are made over multiple evenings, or were a dedicated service rather than a 20 to 30 minute worship set. Practically speaking, I think it’s better to move through this progression only once in a typical service, saving a multi-set model for an extended or special worship service. Build to one major climax in a service, especially if your service format moves from worship into preaching. (Watch for the Law of Climax to follow.) Roller Coaster worship can serve to yank people around too quickly, not having enough time in one part of the worship service to connect and see it to completion. Remember that as a worship leader, our first task is to great an environment of worship for the congregation as a whole to have a meaning experience. Hopefully you are beginning to see that Dynamics can affect your worship service. If so, you may be wondering how to employ them to your advantage. One thing I’ve realized while writing this post is that the Law of Dynamic needs the Law of Climax to be used to its highest potential. In fact, though I had mixed the two together in a post a while back, I’ve come to see them as two separate Laws. Still, I want to give you something to chew on in the time between posts. A long time ago I learned that dynamics can be applied in three different ways. If you missed it, this is the whole point of the Law of Dynamic. But if you’re still looking for another piece to help you put it all together, I think the Law of Climax will help. Next ›How do you know, that you know, that you know?